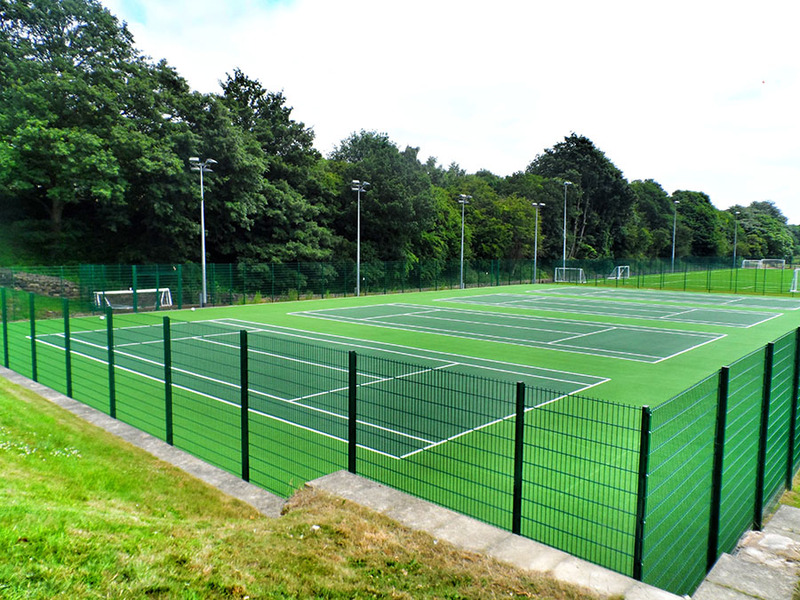 We are a specialist company working in tennis court construction within the UK with a great deal of experience in the installation and maintenance of sport facilities in a range of specifications. We offer a variety of tennis court construction options, each of which have different performance qualities which may be better suited to different facilities and projects. Schools often tend to have macadam or polymeric sports surfaces installed as these can be easily utilised for multiple sports. 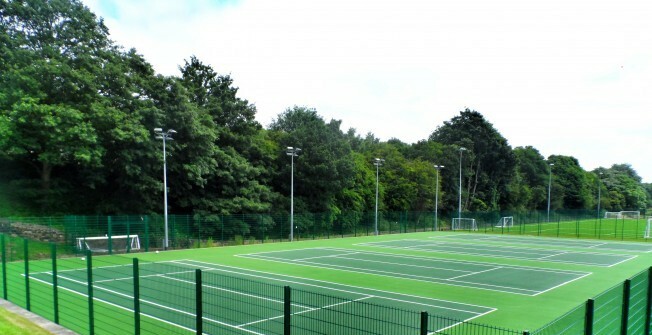 As specialist tennis facility builders http://www.tenniscourtconstruction.org.uk/builders/ we have worked at many different organisations to install and renovate sports courts with a range of design options. As well as the courts construction services we offer closest to you, we also undertake cleaning and maintenance works for sports facility surfacing and surrounding areas, to keep it in top condition and to ensure that it’s safe for use. Maintenance for a tennis surface could include moss and algae treatments to prevent contamination, pressure washing to remove dirt and debris, and regular brushing to remove any fallen leaves or litter which could damage the surface. It is important to conduct this sort of maintenance regularly because without it, the flooring could lose its porosity and hold water making it unsafe for use. It’s also vital to repair any damaged areas as soon as possible to stop them from getting worse and making the facility unusable. New anti slip paint coatings may need to be applied after a while to bring back the original performance qualities which could have been lost due to heavy use and weathering, this is another service we offer outside of the full sport courts construction process. Depending upon the sports surface specifications a different method of cleaning and maintenance will need to be applied. 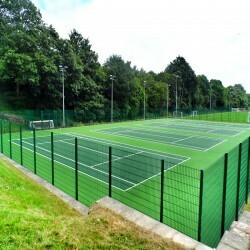 For more information on available specifications please click here http://www.tenniscourtconstruction.org.uk/specifications/ Our experienced team will be able to offer you some detailed advice regarding the best technique of maintenance for your facility. If your sports surfacing or surrounding areas, is in particularly bad condition and a repair or repainting job will not be enough to restore good performance qualities, we can complete a full resurfacing project to replace the existing damaged surface with a brand new one which can be enjoyed for a long time. You can find out more about the courts construction and maintenance services we provide by looking through the rest of our website or filling in our contact form with the details of any enquiries you have. 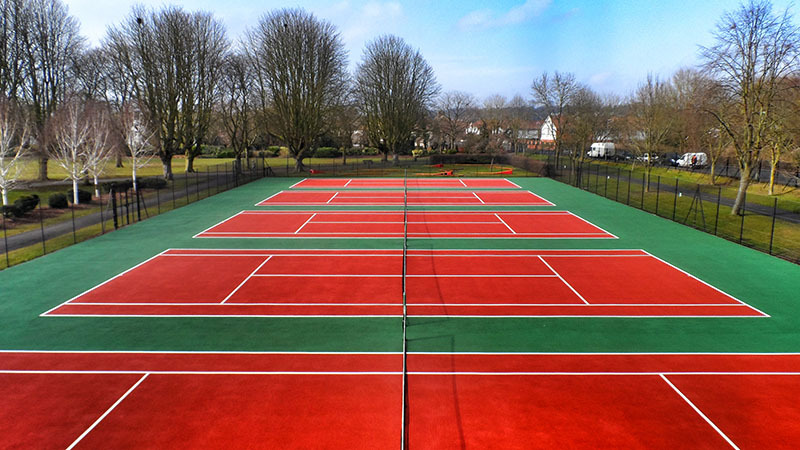 We are nearby professional sport court builders inside the UK and we can carry out unique designs for schools, sports clubs and domestic courts. You are able to choose your own colours for the paint and line-markings. 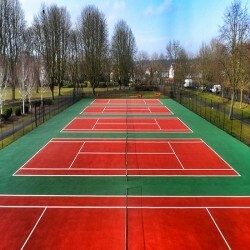 To learn more about line-marking please visit this page http://www.tenniscourtconstruction.org.uk/line-marking/ Whatever your needs we can alter our designs and specifications to meet your individual requirements. Our main goal is to make sure that our clients are happy with the service which we provide. If you've got any questions regarding the designs which we have available, please be sure to get in touch with our local team members. If you'd like to speak to a member of our team regarding tennis court construction please fill in our contact form and we will get back to you as soon as possible with more information and a quick quote.